The Timing/State Analyzer Module is special designed for microprocessor applications. It can work separately or in conjunction with all ICD modules. The high-speed transient recording allows very long record time when tracing peripheral lines in a microcontroller application. The Timing/State Analyzer is specially designed for microprocessor applications. The modul supports timing and state analysis up to 400 MHz. 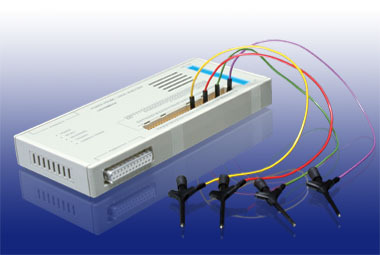 The SOC-CON is a scalable connector for tracing FPGAs and ASICs with a limited number of signal lines. Up to 1024 internal signals can be traced at the same time. Complex trigger controls pattern generator, etc.